The School of Business at Monash Malaysia is proud to be an Advanced Signatory Member of the Principles for Responsible Management Education (PRME). PRME is an initiative of the United Nations and business schools from around the world. It aims to achieve the Sustainable Development Goals by transforming management education and developing the responsible leaders of the future. The School is committed to implementing the six principles of PRME. These principles provide an opportunity for business schools to advance social responsibility through incorporating universal values into teaching, research and partnership. PRME Ambassadors drive our initiatives and are the point of contact for PRME. 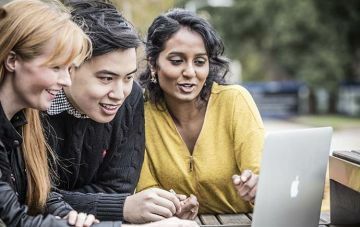 Monash Business is equipping its students to build a sustainable society and inclusive economy through innovative teaching strategies. Our researchers are advancing understanding of the role of corporations in sustainable development. We partner with business and community groups to promote social and environmental responsibility. PRME activities in the School are bringing positive change to businesses, students and the wider community. Find out more about how we are contributing to PRME’s goals to promote global social responsibility and develop responsible business leaders. Authorised by: Marketing and Future Students. Maintained by: Monash University Malaysia Webmaster Team. Last updated: 05 Mar 2019.